Firetrust introduces MailWasher® Pro German version with greater enhancements allowing for smart filtering and automated-spam deletion. Firetrust Limited, provider of award-winning anti-spam and email security solutions, today announced it is now shipping a German language version of MailWasher® Pro. MailWasher® Pro is a uniquely designed anti-spam tool that provides additional protection for businesses and home users from unsolicited and unwanted emails. The ever-increasing rise in spam has prompted both business users and consumers to find a solution that can keep pace with spam as it rapidly evolves. "With more than 4 million users of the technology, MailWasher® Pro has successfully empowered PC users worldwide to protect themselves from spam and email viruses," said Nick Bolton, CEO. "We are focused on demonstrating our commitment to fighting spam, offering superior customer service to all our international customers, and continuing to expand globally to meet the needs of non-English speaking email users by localizing our award-winning antispam solution in German, and other languages." As users around the world are discovering, MailWasher® Pro is the easiest-to-use and most effective tool for protecting users against unwanted spam, and allowing them to regain control of their email inboxes. With the ability to support localized, language-specific user interface menus, options, help and user support, MailWasher® Pro reaches across continents to solve the worldwide problem of spam -- an annoying and costly problem in any language. The intelligent learning filters built into MailWasher® Pro provide users with a powerful weapon that increases in accuracy over time to stop spam from invading their email inboxes. In addition, MailWasher® Pro users are further empowered and protected through FirstAlert™, a subscription-based companion to MailWasher® Pro that leverages the quickly-expanding global community of users actively reporting spam, and enabling accurate spam identification and elimination for maximum protection. "As spammers’ techniques continue to change and become more deceptive and dangerous, the best way to protect your inbox is with a solution that learns what email you want and don’t want," said Nick Bolton, CEO of Firetrust Limited. "Incoming email is constantly changing and evolving, making it critical to have maximum protection against malicious and unwanted emails. The intelligence built into MailWasher® Pro provides tremendous value and the needed protection to combat dangerous and ever-changing spam." Unlike other anti-spam solutions, which are integrated into the email client, a key benefit of MailWasher® Pro is that it works outside the email client, so users are better protected and eliminate the risk of downloading unwanted messages or viruses and worms. By reviewing and deleting content at the email server, users are protected from objectionable content including graphics, web bugs are rendered inactive, bandwidth is protected, and viruses and malicious script is stopped from spreading. In addition, users can preview, delete, blacklist and even create an “invalid email address” message and bounce the unwanted email back to the spammer making it appear that their email address no longer exists. Presently, MailWasher® Pro is available for stand-alone PCs and laptops. An enterprise version of MailWasher® for use on server networks is to be released this month. MailWasher® Pro is currently available in English, German and Spanish. Other localized versions will be progressively rolled out with a focus on Asian and European languages. MailWasher® Pro is now available as a download from Firetrust’s website at www.firetrust.com. MailWasher® Pro is priced at $37.00 U.S. for a single-user license, which includes a one-year subscription to First Alert!™. ** Price discounts are available for volume licensing. A free 30-day trial version can also be downloaded from the site. MailWasher® Pro minimum system requirements include Microsoft Windows 98, Me, NT, 2000 and XP operating systems. It is compatible with all pop3 email programs, including, Microsoft Outlook™ and Outlook Express™, Netscape™ and Eudora™; AOL, IMAP, MSN and Hotmail email accounts. Established in 2000, Firetrust provides world-class email security products for business and home users. Firetrust delivers solutions across the spectrum of inbox protection, including MailWasher® Pro for unsolicited commercial email (spam) and Benign® to neutralize harmful email which can contain viruses, worms, scripts and web bugs. The company is privately held and headquartered in Christchurch, New Zealand. 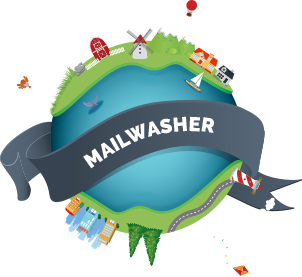 To date MailWasher® has had more than 4 million downloads. For more information, please visit www.firetrust.com. ### MailWasher® and Benign® are registered trademarks of Firetrust Limited. **All existing MailWasher® Pro users are invited to subscribe to First Alert!™ at a reduced rate of $7.00 U.S. for a one-year subscription. After the first year the price increases to $9.95 U.S. annually.